Below are the proposals for Superblock 561600. This is the first time proposals are being submitted to the forum individually as replies to this post so please take your time to look over each proposal. The voting for these proposals will end on block 558720, but your node must remain active until block 561600 for your vote to count. 1) Submit a pre-proposal to the Superblock 561600 Pre-Proposal thread. 2) Post your final proposal in this thread. This Proposal aims to introduce a more structured approach to the governance of Blocknet. • A document outlining the purpose a new governance structure. • Process diagrams for the Proposal and Voting process. • A lot of empty headlines that others can create proposals to fill, and that I will continue to work on. Diagrams are best viewed in the Draw.io file linked to from within the document. This file also include draft models of other governance related work. My initial intent was to submit a complete governance model for Blocknet, but the need is now so apparent that others has started to work on the same, so better submit this now to avoid double work. If this proposal is accepted by vote the team is expected to host the document on GitHub. It will be a version 1.1 that will be added to GitHub, allowing for small corrections before it's set in stone. 10 BLOCK to cover the fees of submitting the proposal. * Maintain the social media profile of Blocknet on Facebook, Twitter, Reddit, BTCTalk, Youtube, Medium, Steemit and other platforms. * As a brand co-lead, manage and train the social media team. * Ensure communications from the developers and marketing team can be transmitted in a clear and timely manner to the community. * Respond to the community. * Compile and write regular newsletter, write and contribute to articles on all platforms and continue to contribute to various marketing materials and initiatives. * Manage, source, correspond and coordinate payments to news and media outlets. 1 BLOCK per hour / 4 hours per day. As a core contributor of Blocknet, I take part in many daily tasks that help keep the project running smoothly, as well as larger tasks that move Blocknet forward. Putting in an average 60 hours a week, I partake in projects that build Blocknet's foundation and assist in other projects in order to help meet objectives. This proposal is for compensation to allow me to continue contributing to Blocknet. - Mandate the strategy group. Add remove users by Superblock vote. - Introduce the roles 'Community strategic advisor' & 'Strategy group member'. 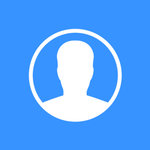 - Populate the group with current memberlist. I have been an advisor to Blocknet before it was born in the XC-Think-Tank group. I apply a business mindset to Blocknet and I guide both the community and the elected group of contributors. I have a private channel in Discord called strategy. This channel allows us to discuss things without it being public. Sometimes it's internal arguments, sometimes it's leads for potential partnerships, sometimes a member would like input to their work. Most of the time it's me posting topics and material in attempt to influence the overall direction of the project. Often discussions that are born in the strategy channel moves to the public channel. It's a common mindset that discussions should be kept as public as possible in the name of decentralization. - There can be several strategic advisors. Historically this has been an unpaid position but in the future if we bring in scholars or IT-industry CxO's as advisors we could pay them. Primarily guards around the strategic principles of Blocknet. Approaches Blocknet from a specified angle. In a conflict of interest a strategic advisor should advice for the benefit of service nodes above any other stakeholder. - Ideally all members that are official members through receiving SuperBlock payment should automatically be made a member of the strategy group. This membership should follow whether they are being paid or not. It should be possible to get voted in by SuperBlock proposal. Such membership will last until voted out. While membership follows paid positions the membership role of this group is in itself unpaid. If yes, the group continues, roles will be in effect until voted down. If no, the group is dismantled and Dungor's role as community strategic advisor stripped. Proposal: Part-time position as Art Director for @808 / Bob. Part-time position as Art Director for @808 / Bob. I started working for the Blocknet in December 2017 by creating the Blocknet Introduction video. This led to further collaboration as a vendor to the project. The visuals and designs developed for the introduction movie and the designs from VSA are the foundation of what has been the visual style of the Blocknet brand today. I have been responsible for the creation of all visuals for Blocknet. Besides producing media, I’ve been part of Blocknet brand leads, consisting of myself, Shane, PhilipMarshall, Cryptoved and Fattox. Primary task for September will be to provide the social media teams a media/template library for them to create content. Templates and the media library are going to allow the social media teams to put together quick designs. It helps maintain the level of quality required and reduces cost and time to produce content. The trade history API is complete and we'll be integrating this into the Block DX electron app in September. You'll be able to see the long awaited chart for orders that were conducted on the DX. I am leading the development on this feature. Block DX will have the ability to display prices in terms of BTC similar to the experience seen in centralized exchanges. I am architecting this and leading the development. I will be responsible for XWallets integration in addition to code reviewing XRouter dev commits. I am code reviewing all XBridge related features and bug fixes. I am leading the development of the auto-updater in that we hope to launch in September. This requires code signing, so it may not make it in, but it's something we're working on. This allows Block DX users to update to newer versions without manually downloading files from Github. I have created a Gitlab automated build system for both Block DX and the Blocknet wallet that allows our QA team to more efficiently test the development teams' work. This is a public system, and anyone in the community can also download and help test these builds. Please reach out to hanniabu for more information. I will continue doing bug fixes and integration work in support of the August/September roadmap. Requested amount from the Superblock. The payment will be made out of the community funds if the proposal passes but is bumped. This is a proposal to increase BLOCK circulation by 100x. All existing fees, rewards, and collaterals will be increased proportionally. This change is needed to preemptively address an anticipated technical problem(see below). Vote yes to approve of this change and no to disapprove of it. If the price were to skyrocket, Blocknet would find itself facing a problem that would require an emergency hard fork to fix, potentially diverting the team and confusing the flood of new block owners. Why? As you know, microservices provided by the XRouter and plug-in services charge fees. At a high enough BLOCK value, these fees become dust-like and incur high transaction costs. A hard fork will be required to undertake this, but fortunately one is already planned to eliminate the locked funds from the exploit. A fork at this time would not incur any costs to owners of BLOCK. Moving the decimal place does not effect the value of investors' holdings or the block rewards. lets say we moved the relay fee out to match BTCs at 0.00001: using the 2000bytes example, sending a $0.005 (half cent) microfee would be charged $0.02 by the network for a 366% charge. 86B Discord post regarding "An extra win to the introduce more people to Blocknet"
That video @mamaringo posted youtu.be/KBRQjuTi7PE had a major key reason for a split: “to attract new types of investors” (or new people, period). To me, this is a major benefit because I think it’s wise to add as many unique community members as possible, daytraders or not, because I think once people are here and learn about what we’re doing, they will stay. I think there’s a consensus that a small price per coin attracts at least one additional buyer due to the current mindset of your typical crypto trader: there are so many different coins and tokens out there to choose from that narrowing down “moonable” prices per coin is done subconsciously - (you’ll find 20 new-to-crypto investors to 1 who don’t understand inflation or market cap). You can see a similar “overwhelming effect” as it pertains to the top 10: the majority of new money first dabbles with Bitcoin, then finds alts, usually buying the top 10, then expands within the top 100 - everything beyond that is perceived as “too high risk” to new money (beyond the high risk they already think they’re taking). Also subconsciously, it’s far more appealing to own “more” of something or deal in whole numbers vs decimals - I personally think it’s a pain dealing in BTC decimals. Having said that, any split we do would be based on charging microfees for our XRouter and plug-in services. In the future if our price is extremely high, it becomes more and more difficult to stay above dust amounts with a microfee. All-in-all I think many of the arguments above of it being “too shilly” or “we’re” better than that” is a very elitist stance. We’ve been battling uphill forever now and I think if a split got more people involved and helped spread the word about Blocknet, I’d heavily be in favor of one. The purpose of this proposal is to maximize unminted Superblock funds in order to limit the amount of BLOCK paid out of the community funds this month. Proposal is for 905 BLOCK that will be paid to our Development Community Fund address BXziudHsEee8vDTgvXXNLCXwKouSssLMQ3 .